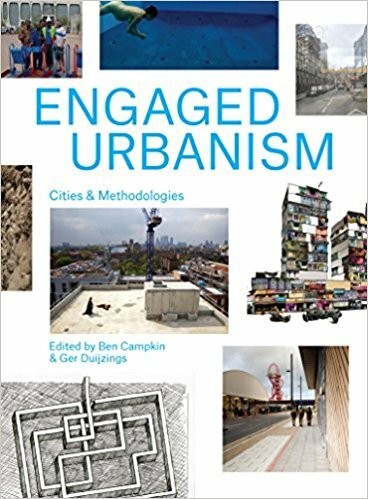 In Engaged Urbanism: Cities and Methodologies, editors Ben Campkin and Ger Duijzings bring together contributors who are challenging assumptions surrounding urban research methodologies. Exploring questions of authorship, expertise and situated knowledge, this is a well-designed and timely book that showcases an array of creative and critical approaches to urban research, finds Helen Traill. Engaged Urbanism: Cities and Methodologies. Ben Campkin and Ger Duijzings (eds). IB Tauris. 2016. Engaged Urbanism: Cities and Methodologies is an imaginative foray into rethinking how scholars approach the city and challenging assumptions around urban research. It mirrors recent academic debate seeking to innovate in contemporary university conditions and attempts to make social research more ‘crafty’ (e.g. Les Back and Nirmal Puwar). In this, it sits alongside Kirsteen Paton arguing for ‘getting real, going DIY and going live’ and also draws on David Beer’s notion of a ‘punk sociology’ in pushing social research in novel directions. The book places at its centre the city (or really, cities), reflecting the prescient need to consider our urban milieu in the face of continued mass urbanisation (UN figures suggest 66 per cent of the world’s population will live in cities by 2050). 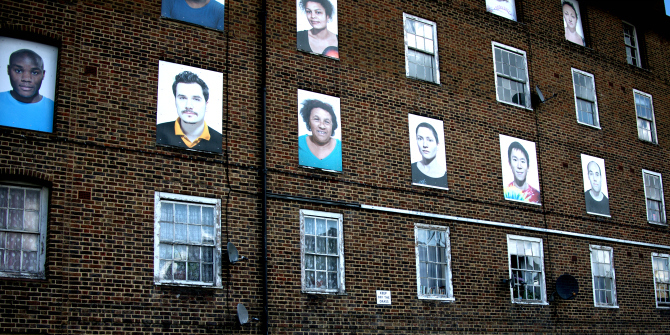 Engaged Urbanism emerged from the Cities Methodologies programme at University College London, which staged a series of events and exhibitions exploring innovative methodologies for urban research. It engages debates around the role of the researcher and how we address questions of expertise, often problematising simplistic hierarchies of expert-lay and introducing destabilising methods such as participant-led ethnography and the construction of ‘smellscapes’ by participants. Each short chapter introduces a project from the exhibition, often with a few other related projects, which connects with the idea of methodological innovation. The book also draws on a broad range of disciplines, from artistic practices through to anthropology and urban design. Ben Campkin and Ger Duijzings have collated chapters that take an approach to urbanism that is deeply interventionist; a ‘critical spatial practice’ (Jane Rendell, 4) that challenges the reader to consider what kinds of urbanism might be possible. The book is well designed, with a great deal of thought having been put into the way it might read: it is intended, like the exhibition, to mimic the style of the street, to be explored in any order. Bound by its materiality, it is nonetheless still organised into six major sections: the first, ‘Frames’, asking broad theoretical and methodological questions, and the following five consisting of thematic groupings of projects around such ideas as participation or materiality. Each chapter within these sections has a London A-Z-inspired suggestion of where to go next and of connections made between chapters around geography or methodology. Many of the chapters also raise ethical and practical dilemmas, two of which I want to explore in more detail: collaboration and a questioning of expertise, and a methodology known as ‘site-writing’ that challenges the position of the academic text. Concerns about working with and promoting voices that are often not heard in academic discourse (those who are often spoken for or of) are found throughout the book. This being a methodological excursion, research practice is foregrounded. For example, Andrew Stevenson (Chapter 21) engages in a participatory practice, inviting his research participants to guide the ethnographic exploration of new migrants’ experiences of the city. What resonates across accounts of participation in research is the idea of the ambiguity of processes of co-production. For Kieren Reid (Chapter 29), this is a complex process. He writes of co-producing a workshop space that is also an architectural sculpture, and particularly discusses struggles over ceding creative and aesthetic control to others: ‘If I hand over too much agency to the participants, then my position becomes precarious’ (238). This honesty is refreshing and recalls feminist advances in thinking through the problems associated with activist research and collaborative practices (see Alexandra Zavos and Barbara Biglia and discussions of the relation of the academy to the ‘real world’ in Discovering Society this year). A particularly exciting collaboration is in ‘Hacking London’s Demolition Decisions’ (Chapter Eight). Kate Crawford and others write of connecting engineers and those with expert knowledge with activists fighting developments. Providing and mediating access to research into environmental studies of buildings, this collaboration created an evidence base from which to push back against technocratic decision-making. In this, the ethos of collaboration shifts power imbalances in favour of lay people, and questions for whom knowledge is created. Here and in other such explorations, Engaged Urbanism acknowledges the challenges inherent to this, particularly in destabilising ideas that are presented as accepted scientific consensus. In line with this questioning of authority in urban research comes the provocative work of Jane Rendell (Chapter Three) that interrogates the position of the academic text. In a practice she calls ‘Site-Writing’, she talks of an exhibition of reactions to the urban form that sit between the object of analysis and its usual product (a text). (An example of site-writing read by Rendell is here). The chapter explores instances of this in practice, drawn from the work of Masters students at UCL who curated an exhibition of their site-writing in photographs, performance pieces and other responses to the urban. As a methodology, site-writing challenges urban researchers to move outwith the traditional texts and methods writing of sites, to find a way to express and react to the urban and to admit the ‘situatedness of criticism’ (36). Many of the methodological musings in the book contain this kind of site-writing, rather than a writing of sites. It is a useful critique of the academic text, yet a concern arises for me in the production of ‘alternative’ reactions to the urban in that they swap one kind of elite, situated criticism (the academic text) for another (the artistic practice). Rendell notes that site-writing creates ‘new positions of relation between critic and site’ (37), but the newness is working in the space between ‘analyst and analysand’ (37), not in democratising or widening access to social knowledge. In this, it rubs up against the previously discussed sensibilities of collaboration and participation. Engaged Urbanism demonstrates an array of creative and critical responses to the urban. It asks questions of authorship and expertise, asking who gets to write research agendas and challenging the academic text as a form of ‘situated knowledge’. It goes beyond criticism too in offering concrete methodological examples of alternative ways of approaching research and expanding the boundaries of urban knowledge. Reserving some of my concerns about the accessibility of artistic practice as a form of urban critique, this book nevertheless offers a well-presented and provocative read, and a timely exploration of creative urban research. Helen Traill is a PhD student in the Sociology department at the LSE. Her thesis explores practices of community in community gardens and urban green spaces, and the relationship they have with wider urban social processes. She is particularly interested in urban commons and land ownership, and the political potential of communal practices. She tweets @traillhelen.